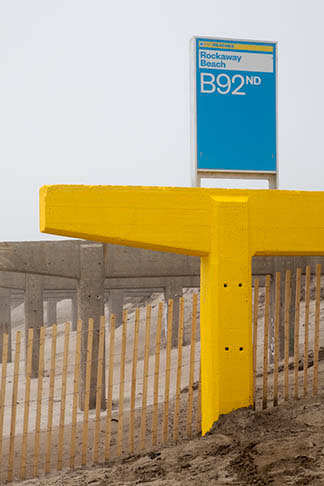 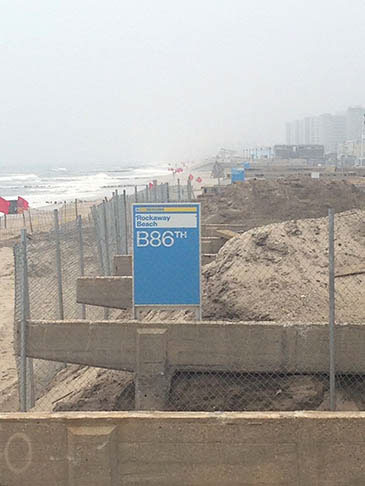 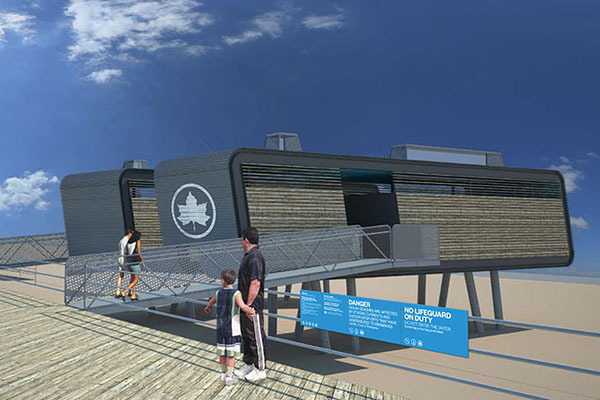 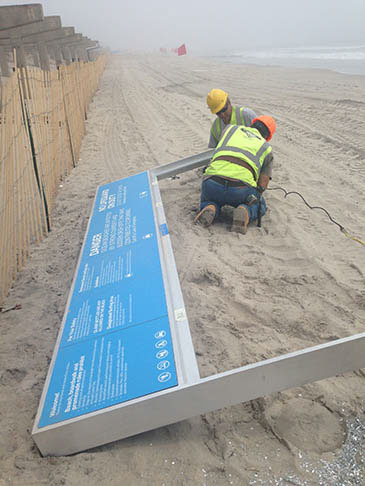 When Hurricane Sandy hit New York last October, the city’s 14 miles of beaches took the brunt of the storm, with boardwalk structures destroyed and millions of tons of sand displaced. 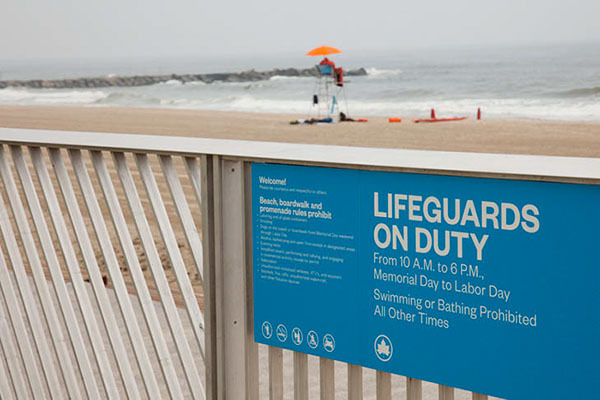 Following an extraordinary effort by the Mayor’s Office, the NYC Department of Parks and Recreation, and the NYC Department of Design and Construction, the city’s eight public swimming beaches were reopened on Memorial Day, only seven months after being devastated by the storm. 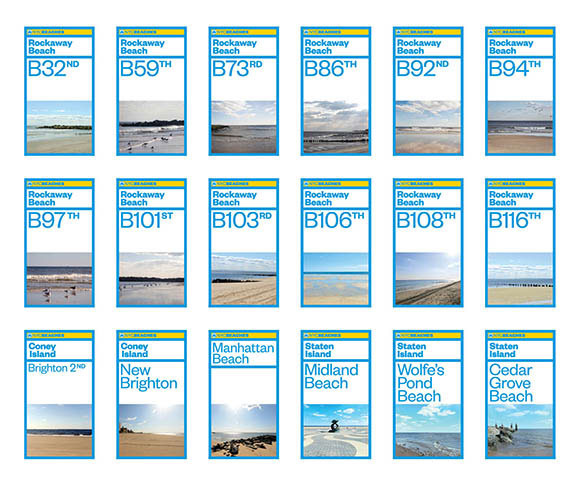 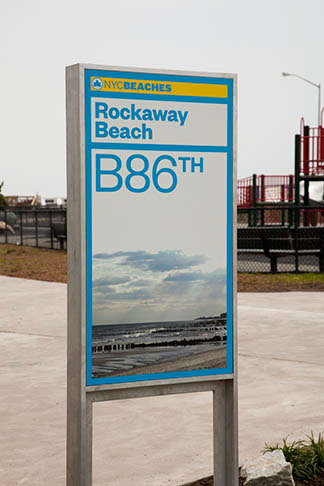 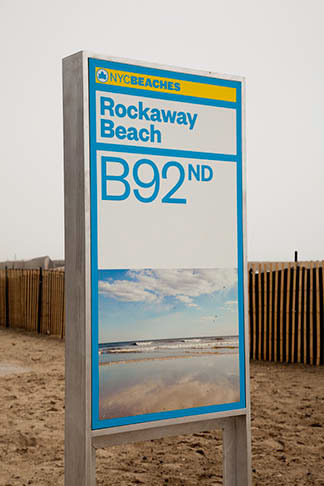 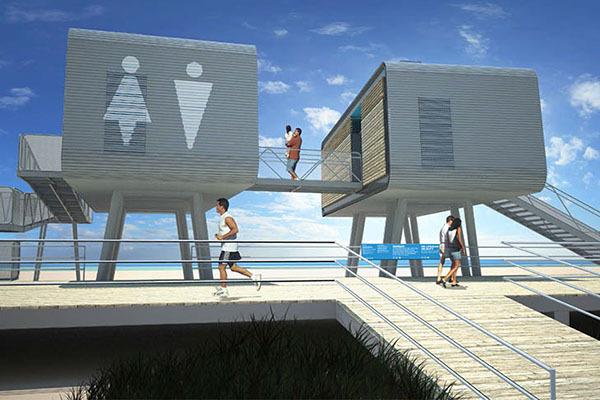 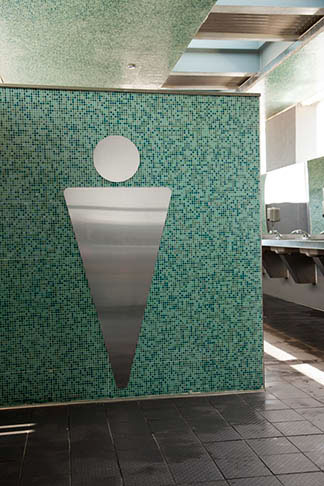 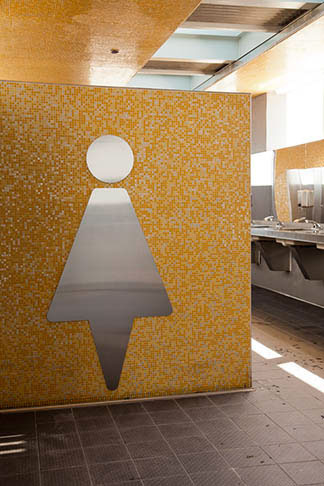 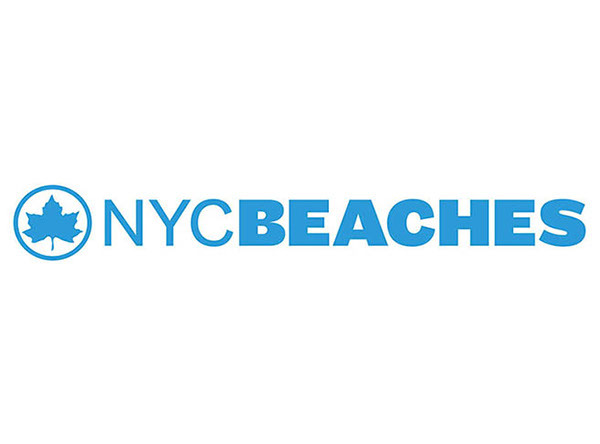 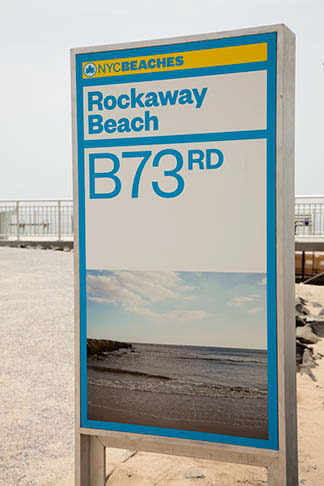 As part of the restoration, Pentagram’s Paula Scher has created a program of signage and environmental graphics that welcome New Yorkers back to their beaches. 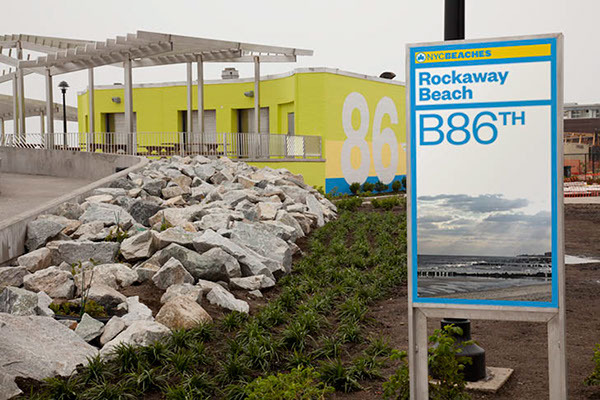 Pentagram has worked on the project in collaboration with a team of architects and designers that includes McLaren Engineering Group, Garrison Architects, Sage and Coombe Architects, LTL Architects and Mathews Nielsen Landscape Architects.